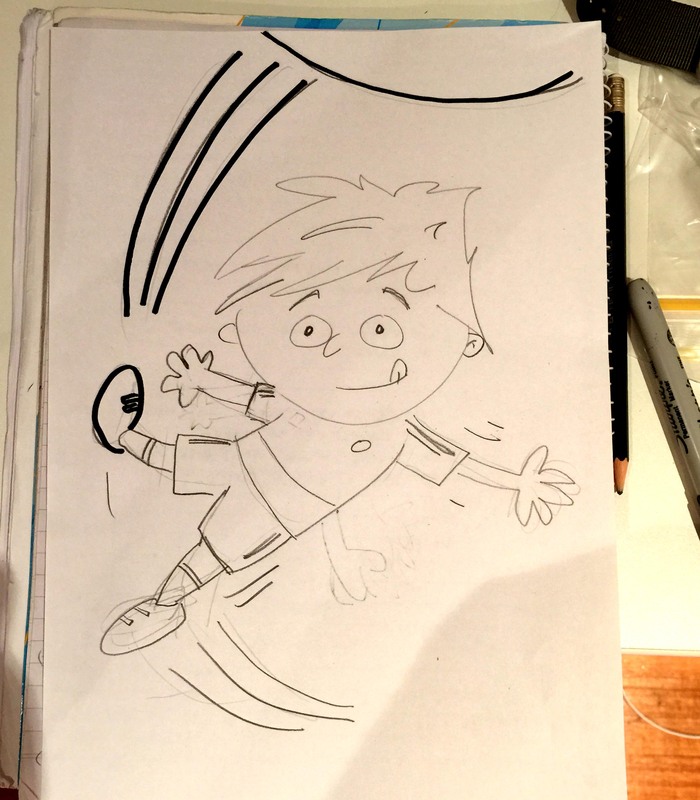 THE NAME IS RUFUS… SOCCERUFUS! Everyone loves Archie. And that’s because he’s simply a great bloke! The two of us became friends through the EJ Whitten Legends Game a few years ago when he was the celebrity runner and I was part of the TV production team. 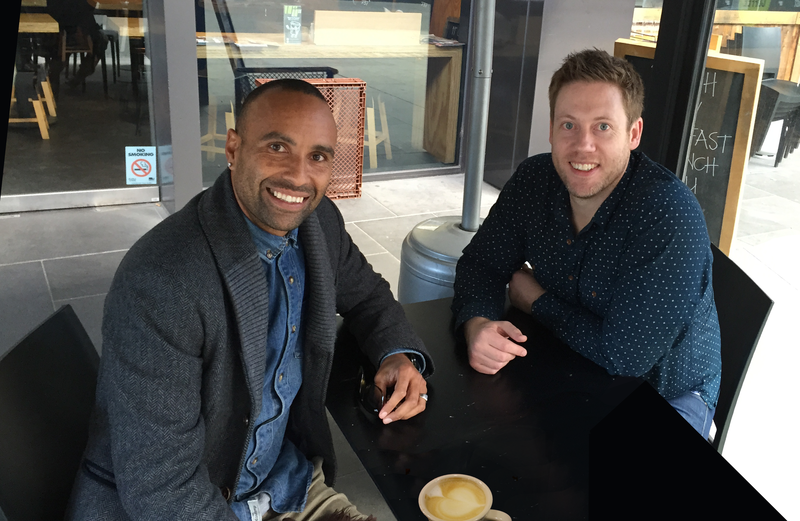 I urged him to get on the field and play some AFL, but with his trademark smile Archie admitted he was tempted but he suspected Victory might not understand… Especially if he got himself injured. 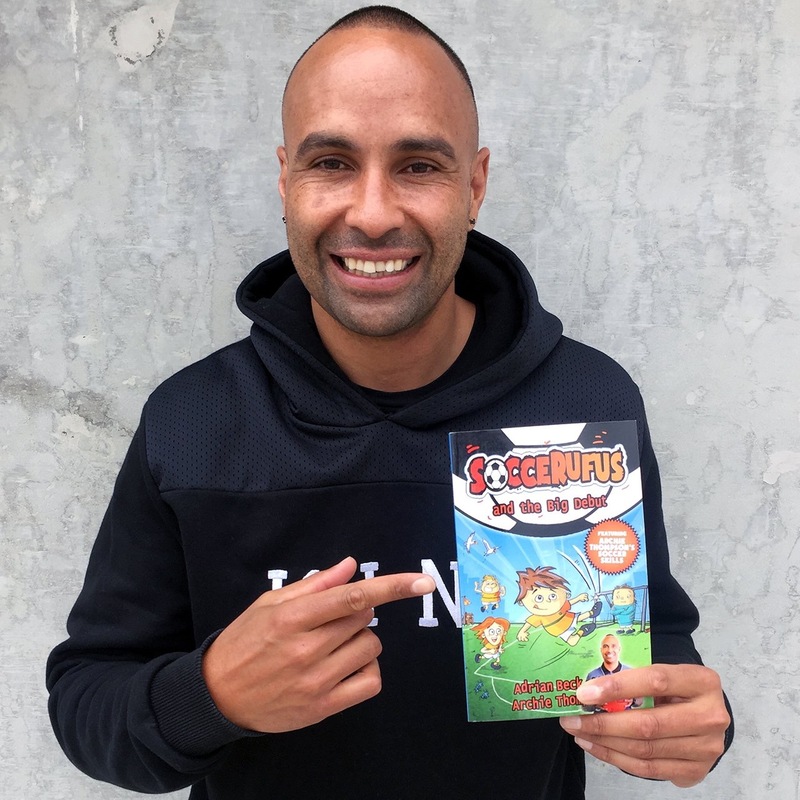 What became clear during the process of creating this book with Archie is just how much he wants to inspire the next generation of Aussie players. 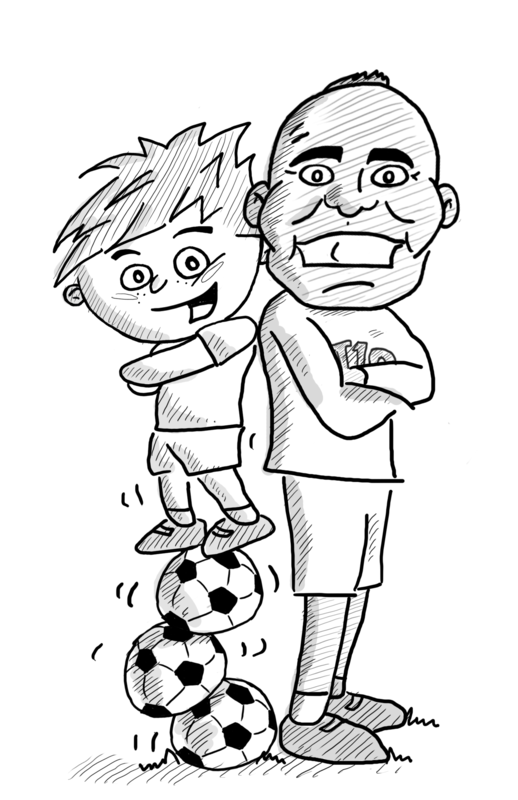 So, to help young soccer fans improve their game, we’ve also included eight tips and skills in the book. 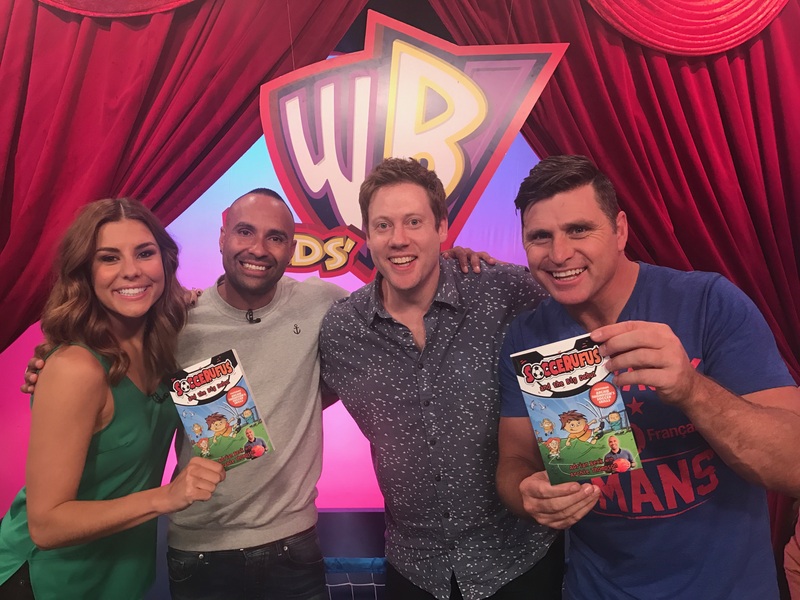 That’s right – the secrets to Archie’s success! 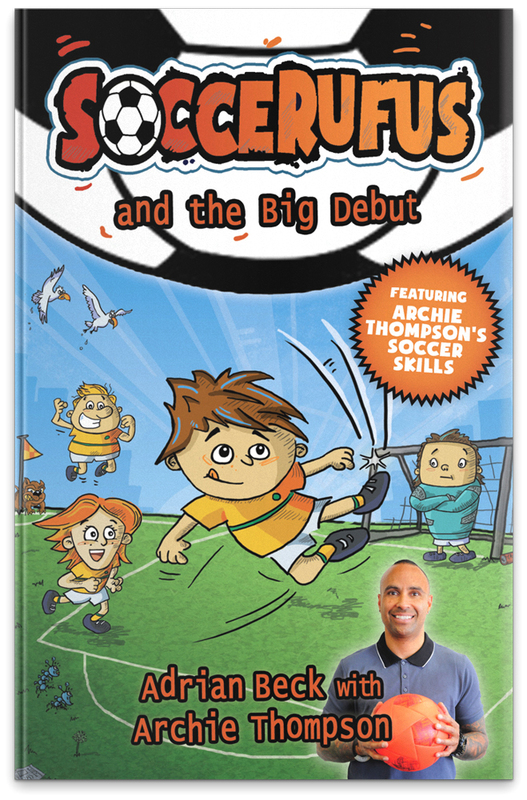 And who wouldn’t want to be the next Archie Thompson? 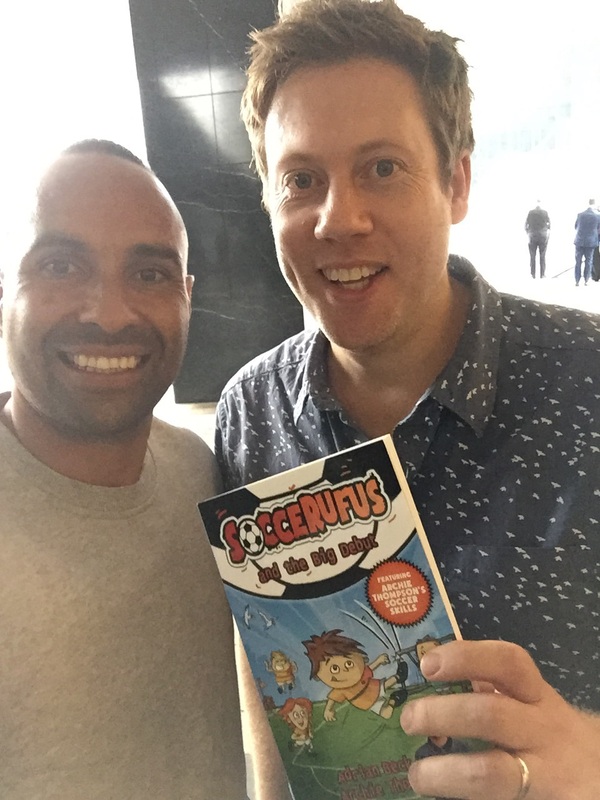 Soccerufus is also the first book I’ve illustrated myself. This process took a lot longer than I expected but it was a whole heap of fun. Hopefully there’ll be more illustrating to come! Below shows my first sketch of Rufus (as you can see I couldn’t quite work out if I wanted to go with pen or pencil at that stage!). And there’s also one of the last pics I did; Rufus alongside Archie himself. 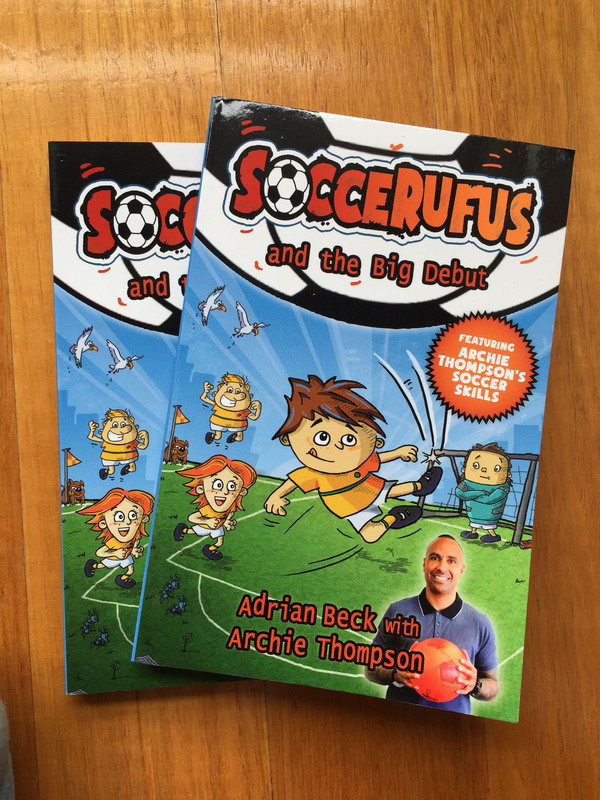 We really hope young soccer fans will enjoy Soccerufus. It’s action-packed and a little quirky but what I like most about the story is that Rufus isn’t the best player in the team. Far from it! He falls in love with soccer despite the fact he’s not a natural at the game. It takes practice and determination for Rufus to achieve his dream, a lesson that I think many of us can relate to. « OLIVER P TALKS BOOKS & BURGERS!